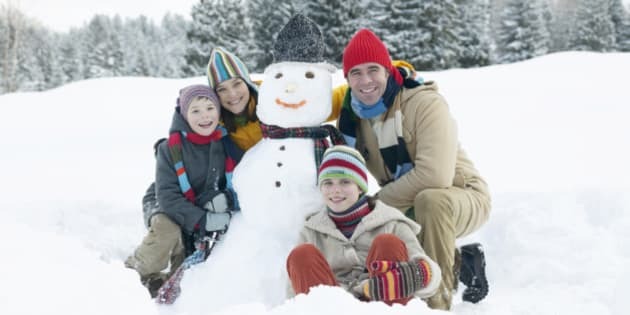 When Is Ontario Family Day In 2014? Ah Family Day, Ontario's favourite fake holiday. It's only been around since 2008, but the statutory holiday in 2014 gives many in Canada's most populous province a long weekend right in the heart of winter. To quote the Ontario government's own FAQ on Family Day, "The time between New Year’s Day and Easter is long and people need a rest." In 2014, Family Day will fall on Feb. 17 and like last year the holiday means that many businesses will be closed. Government offices, banks and most grocery stores will be closed this Family Day. Large malls, like Toronto's Eaton Centre will be open. This year, Ottawa's Winterlude will also end on Feb. 17. The annual festival includes dozens of activities including the world's largest skating rink and the world's largest snow playground. Look for special deals and events for attractions such as the Toronto Zoo, the Royal Ontario Museum, the Art Gallery of Ontario and many others. If outdoor activities are more your style, Ontario's provincial parks are also hosting Family Day events. Go looking for owls at the Pinery on Lake Huron or get away from city lights and see the night sky the way it was meant to be seen in Killarney Park. The more amorous should consider the fact that this year Family Day bookends a possible four-day weekend that starts with Valentine's Day on Friday. May we suggest a romantic getaway? If you have friends or relatives in Alberta or Saskatchewan they'll be celebrating the 'holiday' with you. While those in Manitoba celebrate Louis Riel Day and those on Prince Edward Island celebrate Islander Day. It's important to note that British Columbians celebrate their Family Day a week earlier. MORE: Family day Family Day 2014 Family Day February 17 family day ontario Family Day ontario 2014 Family Day Toronto Family travel Living ontario family day ontario family day 2014 What's open family day ontario when is family day When Is family day in Ontario?